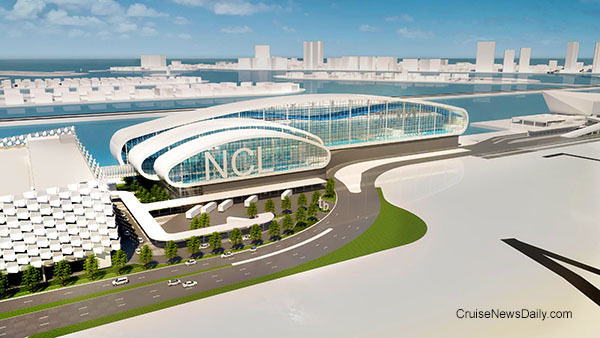 Norwegian Cruise Line revealed the design this week for their new Miami terminal which, if approved by the county board, should see construction begin in May and be completed by the fall of 2019 when Norwegian Encore arrives in Miami. Renderings courtesy of Bermello Ajamil & Partners. All rights reserved. May not be copied or used without permission. Disney gave the world its first look at their 140,000-ton ships they will begin receiving in 2021 when they revealed a rendering at The Walt Disney Company's annual shareholders meeting today. 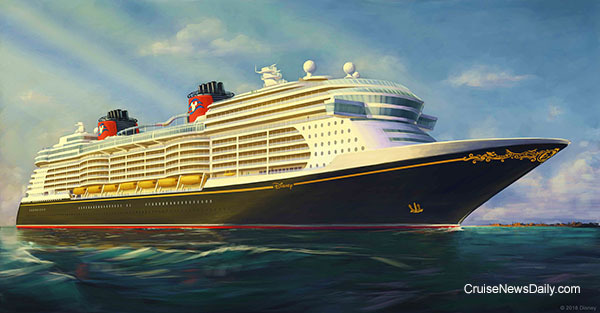 Rendering courtesy of Disney Cruise Line. All rights reserved. May not be copied or used without express permission. MV Werften beginning construction of their 204,000-ton Global-class and Genting saying they will transfer it to their Dream brand which will use it to expand globally. Rendering courtesy of MV Werften. All rights reserved. May not be copied or used without express permission. Just Holland America Line has the Culinary Council to keep their dining options tip-top, they now have a wine expert to curate their wine list - something of a Wine Council of one. Holland America has hired acclaimed wine critic James Suckling as their official Wine Curator. As the Wine Curator, his first task is to review the line's current 300-label wine list and craft a new one. Fincantieri announced today they have entered into an agreement with Viking Ocean Cruises to build an additional six ships. Ritz-Carlton gave a preliminary look today at where their ship would be sailing in its first year of operation and the type of programs customers could expect. P&O Australia said today that Pacific Eden will be leaving the fleet in April 2019. Until now, Holland America's Culinary Council has worked as a group. Seven very talented chefs would come together from their homes all over the world and advise on culinary concepts for the line. Now the line has decided to reorganize that. Each chef has his own area of expertise, and they will now each focus on that expertise aboard the Holland America fleet on specific restaurants, menus or projects that will utilize that expertise. 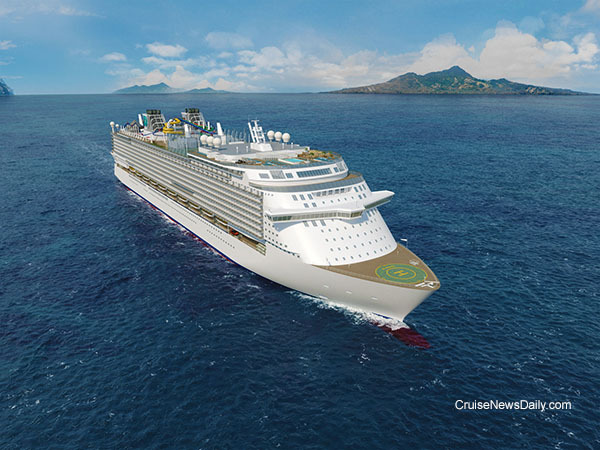 The complete story appeared in the March 5 edition of Cruise News Daily. Carnival's AIDA brand promoting their first female navigational officer to the rank of captain. The 34-year-old woman is currently captaining AIDAsol. Details appeared in the March 5 edition of Cruise News Daily.